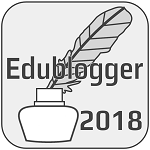 This entry was posted on donderdag, juli 9th, 2015 at 2:34 pm and is filed under differentiëren, feedback, flipclass, flipdeklas, flippedclassroom, flipping the classroom, flippingdeklas, ICT, Leerling Centraal, leerlingen, motivatie, motiveren, onderwijs, pedagogiek, peer learning, toekomstwijs, Uncategorized, web2.0. You can follow any responses to this entry through the RSS 2.0 feed. You can leave a response, or trackback from your own site. Bedankt voor het interessante, verhelderende stuk!